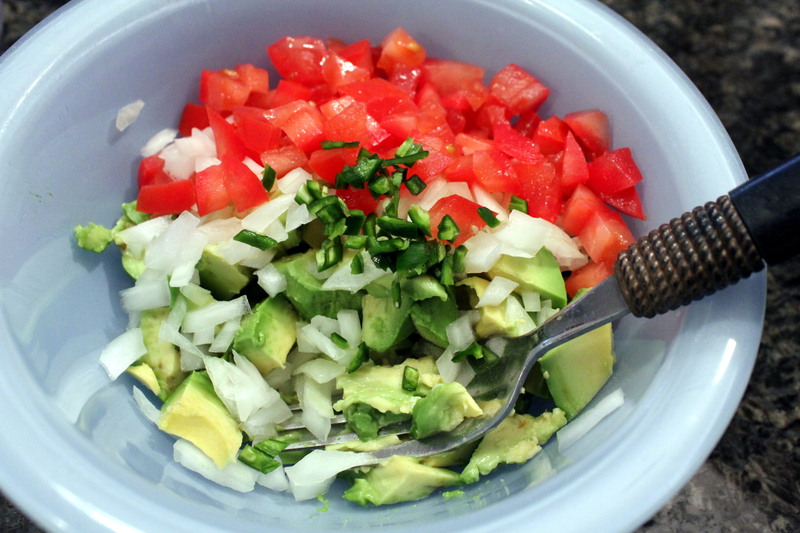 Talk about a super-easy mid-week meal to make when life is busy and you’re craving Tex-Mex! I was hankering some spicy, per usual, and amazingly I had every single ingredient on hand for this meal. I guess that’s not entirely amazing, since I always keep a good stock of Tex-Mex spices and herbs on hand. 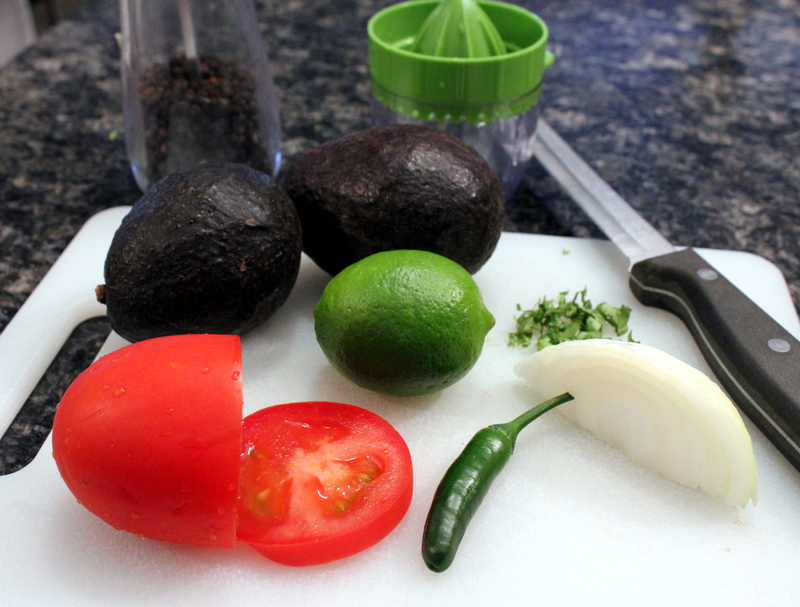 I was really wanting to use my new Ninja food processor I got for Mother’s Day from my fabulous family to mix up some awesome homemade Ancho chile paste for this, as I also had dried Ancho chiles sitting around. 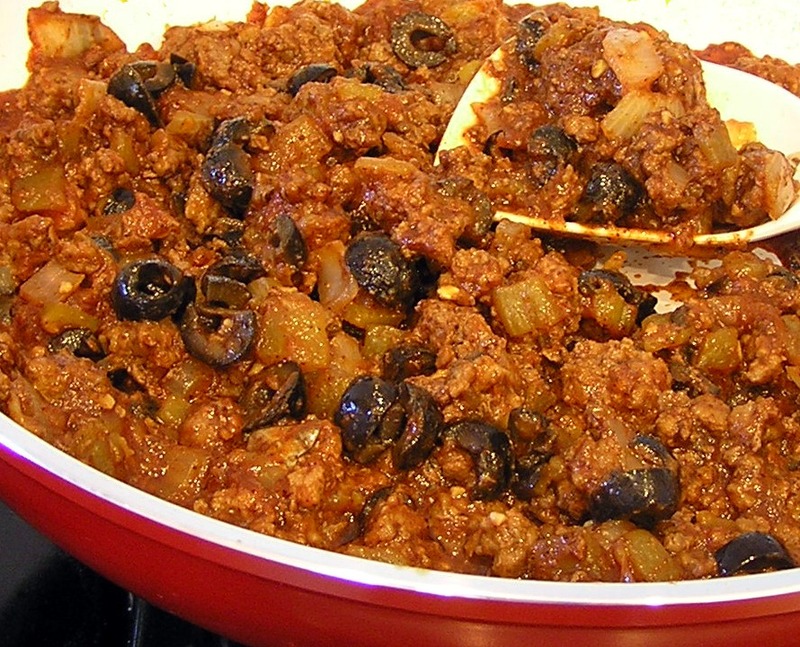 However, time got the best of me so I used store-bought ground Ancho chile powder instead. 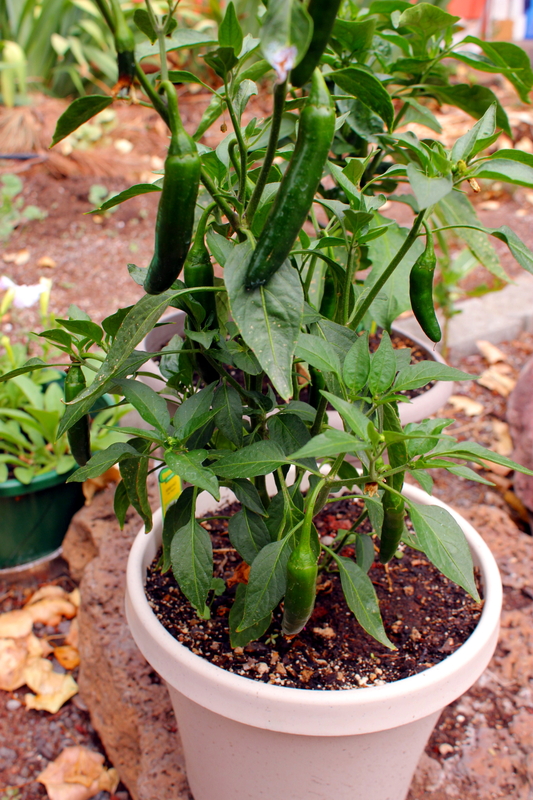 (Actually, the label on the package says Pasilla chile powder, but Ancho chile powder is dried Pasillas peppers.) 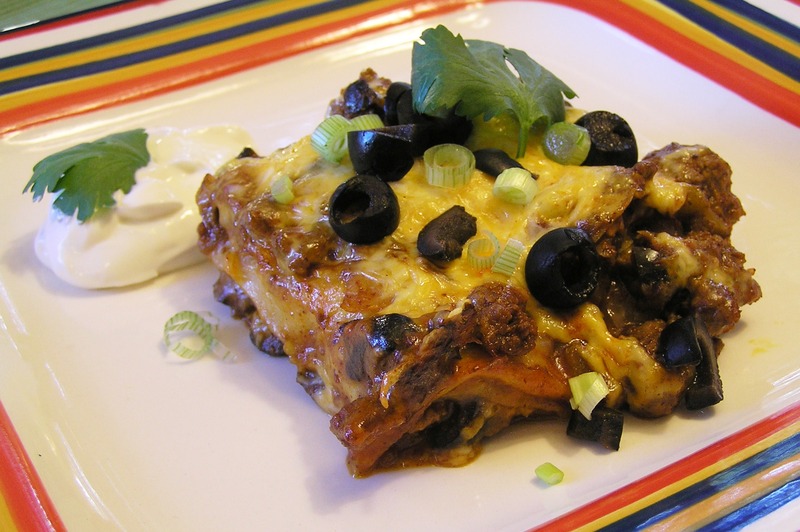 Either way, these easy casserole-style enchiladas were a hit, and we barely had enough leftover for two the next day. Double or triple accordingly! Preheat oven to 425 degrees. In a medium skillet (ooh look, my new red ceramic-lined skillet! 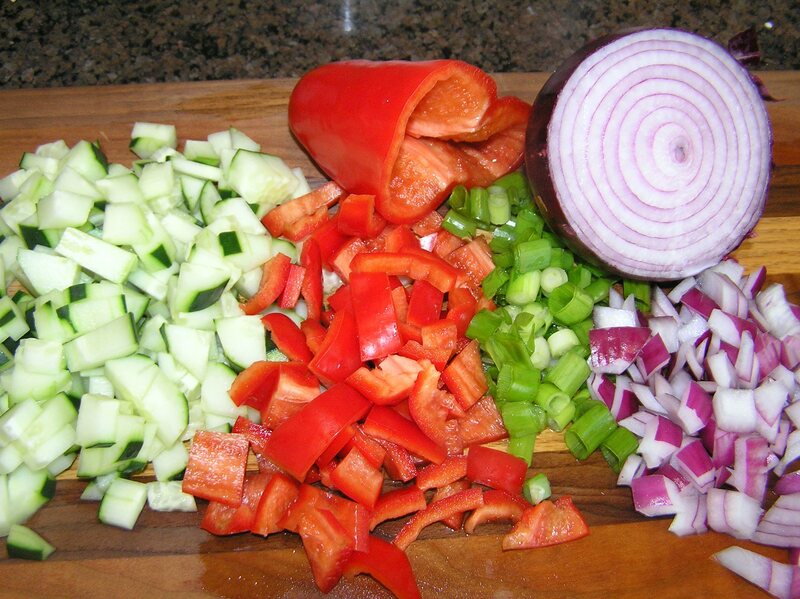 ), cook the ground beef, onion, garlic, and pepper until the burger is browned. Drain any grease. Add about 3/4 of the sliced black olives and mix well. 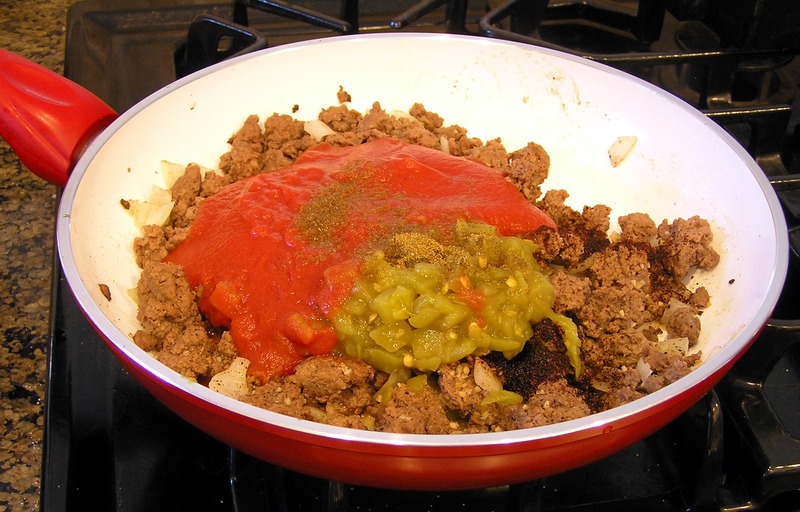 Now add the Ancho chile powder (you can sub with New Mexico Red, or regular chile powder in a pinch), the green chiles, and tomato sauce. Stir to combine and simmer for a few minutes. 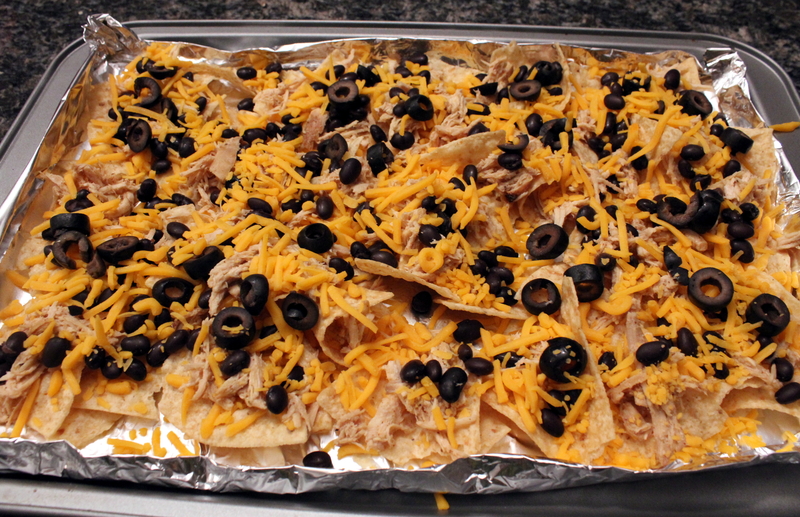 Spray a 2-quart casserole dish with oil, then line the bottom with half the torn tortilla chunks and very lightly spray the tops of the tortillas. Spread half the meat mixture over top, then half the cheese. 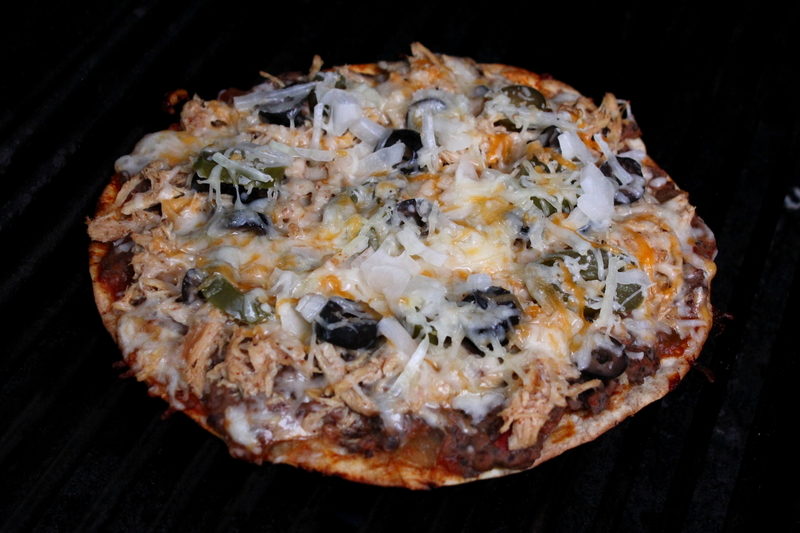 Repeat with another layer of tortillas and a light spray of oil on them, meat, and cheese. 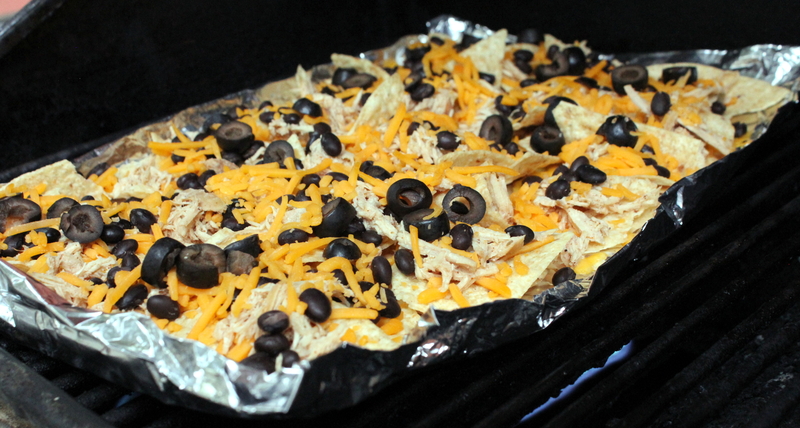 Drizzle the half cup of water around the edges of the casserole. Cover tightly, and cook for a half hour. Uncover and broil for a few minutes. Take out and let rest for five minutes. 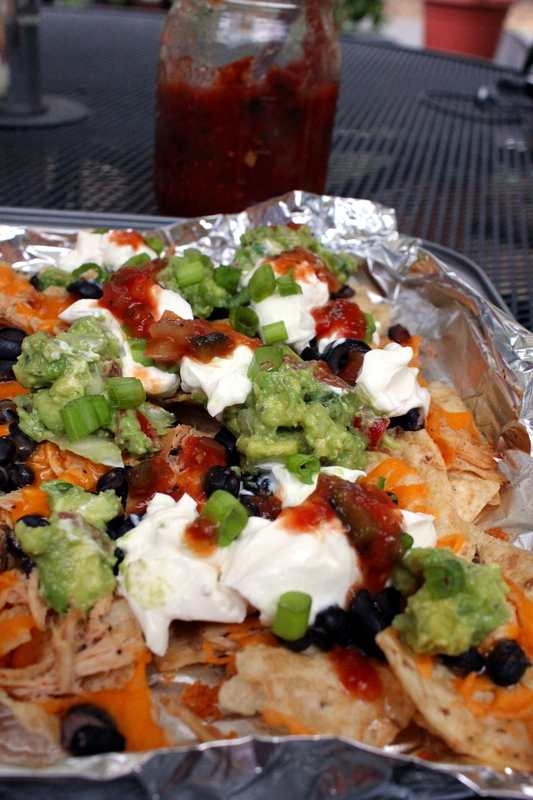 Garnish with cilantro, green onion, sliced black olives, and sour cream (any or all optional). I had this meal prepped, cooked, and on the table in one hour flat. Can’t go wrong with that! And plates were licked clean. 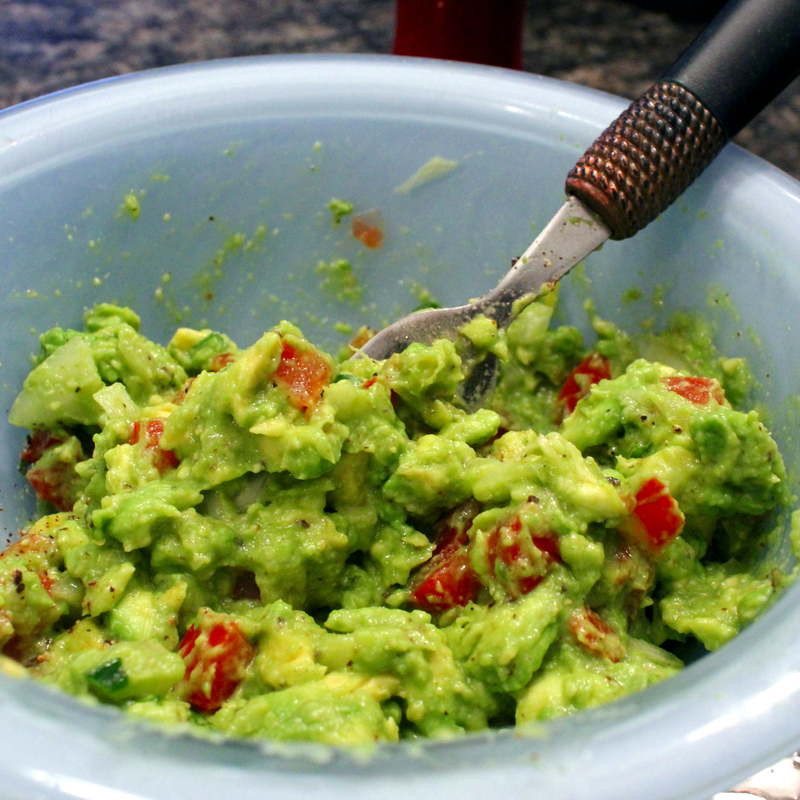 …or, How to Use as Many Pots, Pans, Bowls, and Utensils as Possible for a Single Dish. Seriously, this is a sink filler-upper. But ohhhh, the flavor is just delectable and restaurant-worthy, in my humble opinion. Actually, the first time I made this for my husband, he got so excited that he wanted to open a restaurant right then and there! Alas, that was only a pipe dream of his (thank goodness!) but that has not stopped me from cooking these tasty crepes on a periodic basis. Since the dish is so time-consuming, I would guess we have this less than once a year. But the wait is so worth it! The original recipe comes — once again — from my trusty Better Homes and Garden book. While most of the recipes I use from it have been transformed over the years, this one has never needed many changes aside from using chicken instead of turkey. 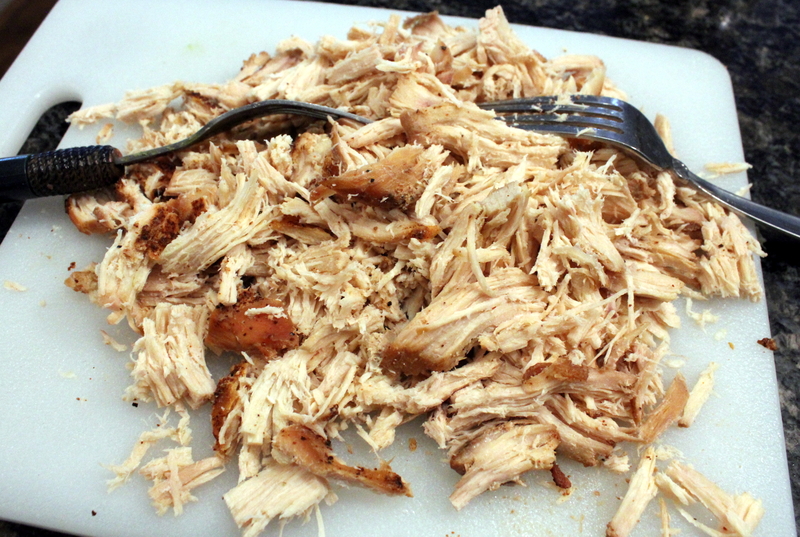 Turkey meat has such a strong taste that I’ve always opted for the lighter taste of the smaller fowl. My sister is in town visiting from Austin, and we tackled this masterpiece together, which made the process not only much shorter, but a heck of a lot more fun! I taught her how to make the crepes (and she was a natural at it) and she taught me a trick to make a no-fail white sauce. Win-win! Another time saver was cooking half a chicken the day before to make the chicken broth and cubed meat as called for in the recipe. 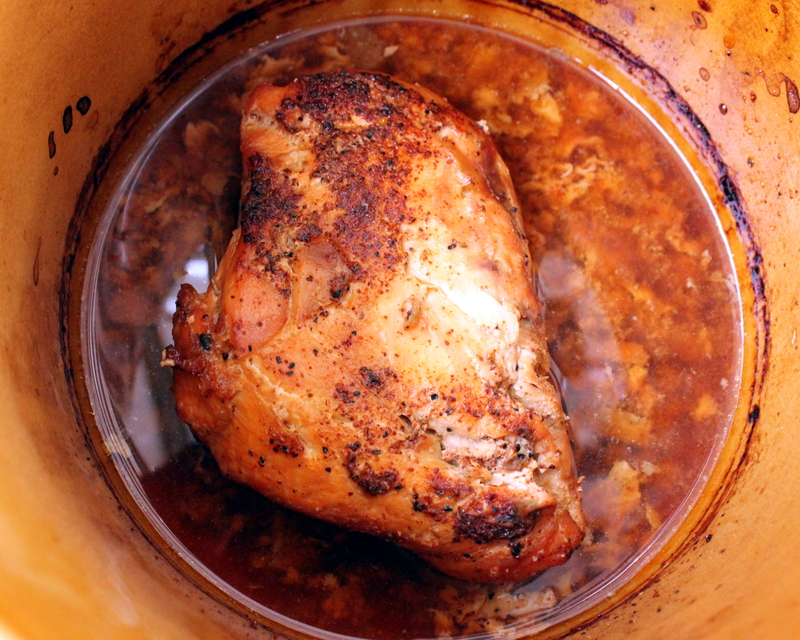 If you don’t already have cooked chicken on hand, it’s best to start this process the day before, or start cooking in the afternoon as this will take some time. First, begin preparing the crepes according to recipe below. I put my sister on this duty after I showed her the trick to getting them to come out perfect. Meanwhile, brown the mushrooms in 3 tablespoons of the butter or substitute in a medium saucepan. My sister wanted to use real butter for the entire recipe, but she conceded to let me use Smart Balance to sauté the mushrooms. Cook the mushrooms until all the liquid has released and reduced down, about 10 minutes. When the mushrooms are done, pour them into a bowl and set aside. 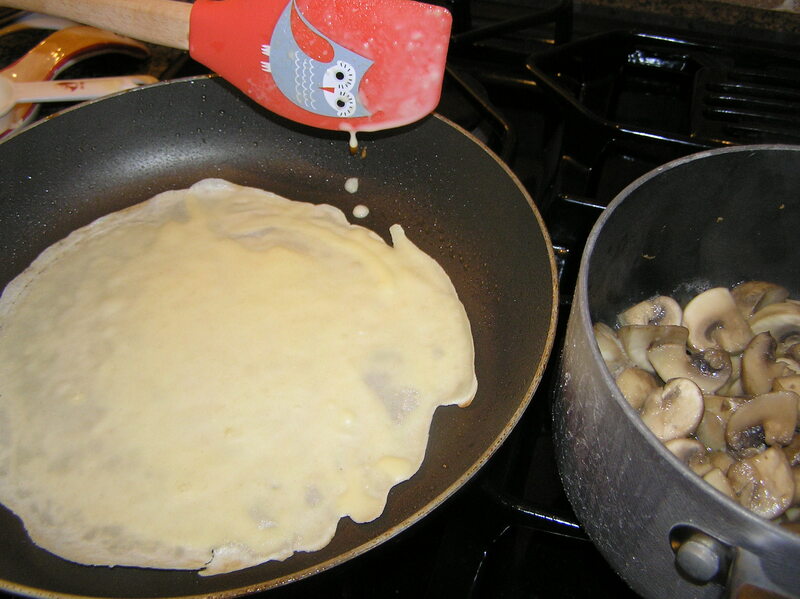 Crepe, mushrooms and new owl spatula! In the same saucepan used for the mushrooms, melt the other three tablespoons of butter. Stir in the flour, and cook for about three minutes on low heat but don’t let it start to brown. My sister says cooking the flour for a few minutes will release the oil in the butter and make for a creamier sauce. I do believe that worked! Next add the chicken broth and cream and cook on medium heat until thickened and bubbly, stirring often. Add the cheese and sherry or white wine and stir until the cheese melts. Keep on very low heat while you do the next steps, occasionally stirring. 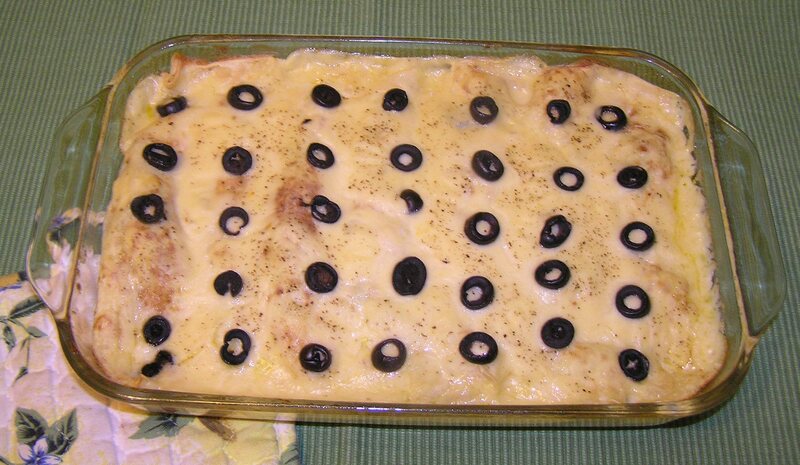 Spray a casserole dish with vegetable oil and place in a strategic area for crepe assembly. 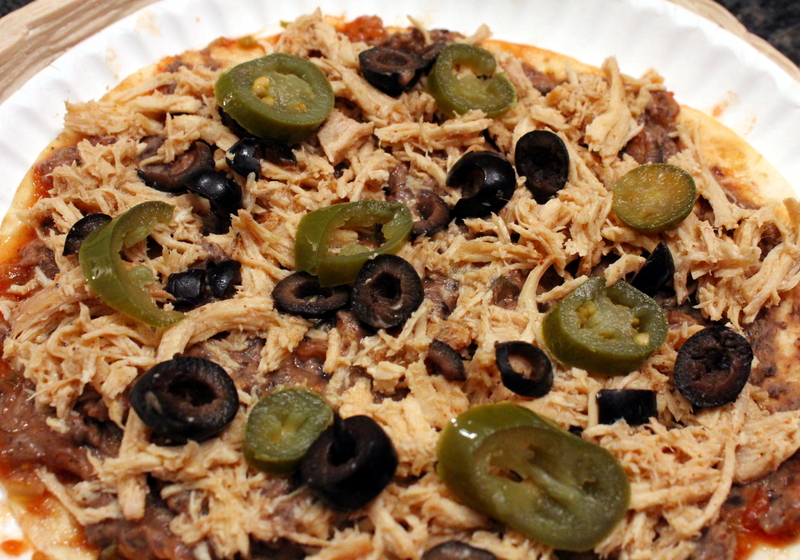 In a medium bowl combine the chicken, olives, mushrooms and one cup of the sauce. I save some of the olive slices for the top of the crepes. Next, spoon some of the mixture down the center of the unbrowned side of a crepe, and roll up. 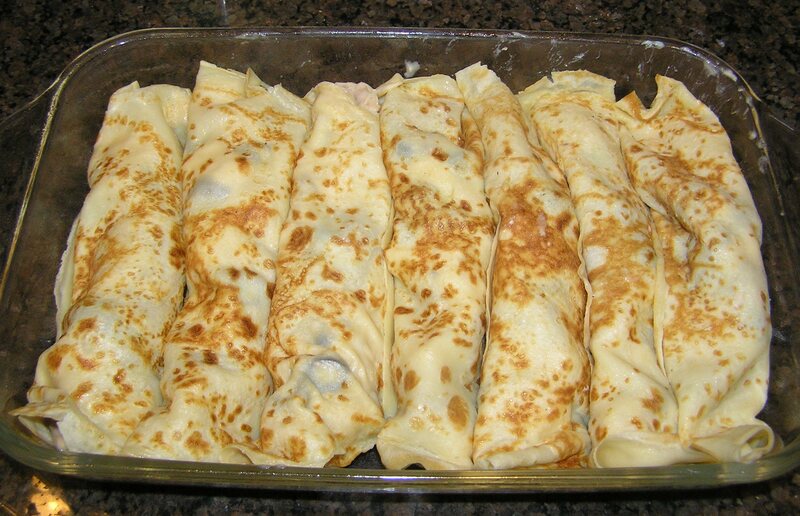 Place the crepe seam side down in the casserole dish. Repeat until you run out of mixture. We were able to fill seven crepes for the size we made, and had four crepes leftover. Plus we ran out of room in the dish. Last, pour the remaining sauce evenly over the crepes, and decorate the top with the reserved olive slices. Bake, uncovered, at 375 degrees for 25 minutes. Take out and let rest for a few minutes. 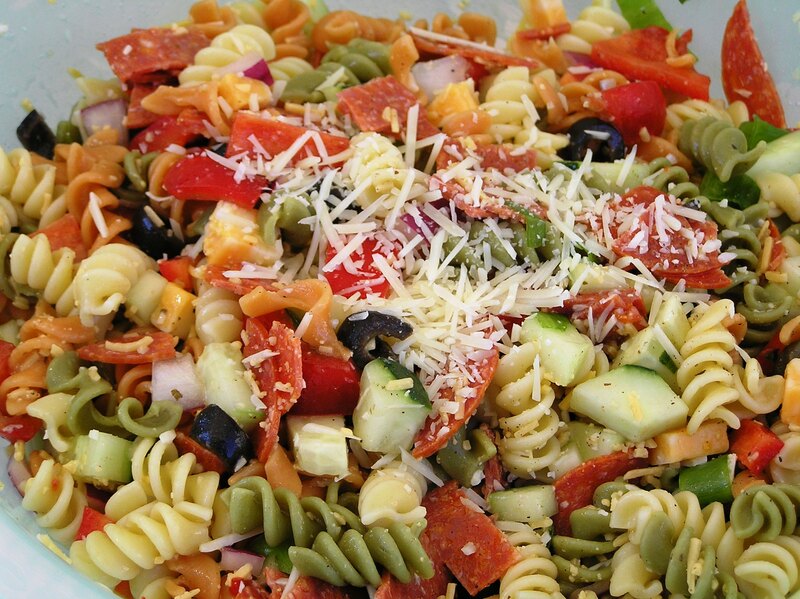 We served this with steamed asparagus. My sister toasted some sliced almonds for her serving, but my husband and I preferred the dish without them. Bon Appétit! In a bowl, combine the flour, milk, eggs, oil, and salt. Beat with a rotary mixer until well blended. Heat a lightly oil-sprayed skillet for a few minutes. Remove from the heat then pour about a quarter cup of batter into the center, and tilt and swirl the batter around until it’s spread evenly in the bottom. Return the skillet to the heat and brown on one side only until the edges begin to curl up a bit. To remove the crepe, turn the skillet upside down onto a plate lined with paper towels. Repeat with the remaining batter, spraying the skillet lightly between crepes. Set them aside until ready to fill.